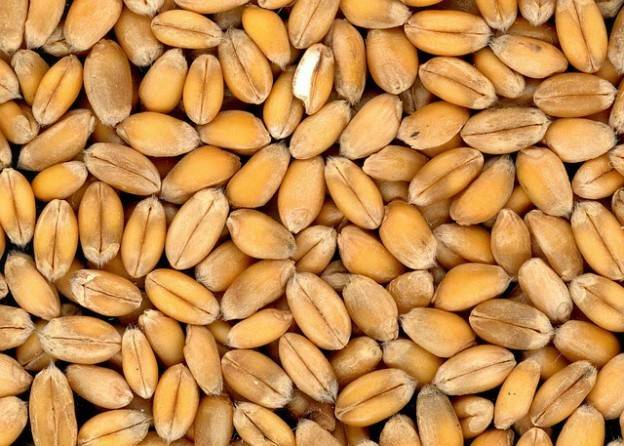 Future cereal crop seed productivity is influenced by many factors, including external such external ones as habitation and growth environment and their biological characteristics. Each factor has different influence in different periods of development, and it is often impossible to take all into account. However, modern agricultural science has a range of techniques to reduce the influence of the negative factors and augment the positive ones to obtain better crops. An important role is played by presowing stimulation and disinfection, basically pretreatment of seeds before sowing. The electromagnetic field of the AVS unit influences the seeds, with the added feature of disinfection and disinsection. The methods of pretreatment may be divided into three subgroups: biological, chemical and physical. Biological methods include soaking the seeds in various extracts, including vitamins and ferments. These methods have a number of drawbacks, such as low technological efficiency, complexity of stimulant production, uneven seed reaction, the need for many experiments to determine the optimal dosage etc. Chemical methods involve treatment of seeds by various chemical substances, such as inhibitors, macroelemts and their salts. The main drawback of these methods is the toxicity of the substances used, log degradability and harmful effects on animals and humans. In turn, physical methods include mechanical, thermal and radiation. Physical methods include barbotage, ultrasonic treatment in water and scarification. Their drawbacks are: long processing time, the need to dry the seeds, low technological efficiency and high labor costs. Thermal methods are stratification, steam treatment and varying temperature treatment. These approaches also have drawbacks, such as treatment duration (up to several months in some cases) and the critical need to maintain the correct temperature. Radiation treatment is the exposure of seeds to ionizing radiation. Electro-physical methods are of the most interest. These include electric influence, electromagnetic fields of various frequencies, infrared and ultraviolet processing etc). Of the above, electromagnetic field treatment is the most promising. GlobeCore has developed the AVS-100 vortex layer generator to help solve some of the modern problems in agriculture. The device is a hollow cylinder made of non-magnetic material, equipped with a magnetic field inducer with coils. The electromagnetic field influences the seeds, with the added feature of disinfection and disinsection. The pretreatment is made possible by the reaction of the seeds to an external stimulus, if the intensity thereof is above a certain threshold. Ultrahigh frequency energy, applied to the seeds, starts reactions, which occur in the cells of the seeds powered by their internal resources. After the influence of the ultrahigh frequency the amount of free radicals (unpaired electrons) is increased, changing biomembrane permeability, active increase of oxidation reactions, increased breathing intensity, nucleic acid and protein synthesis and mitosis, promoting seed development and intensifying growth.